The only thing that I wish for my son now that he is 4 years old is for him to learn more things aside from the basics that he already knows. The other way for him to learn different things is by introducing him in the art. Something he can do since his Grandmother has talents when it comes to Arts. 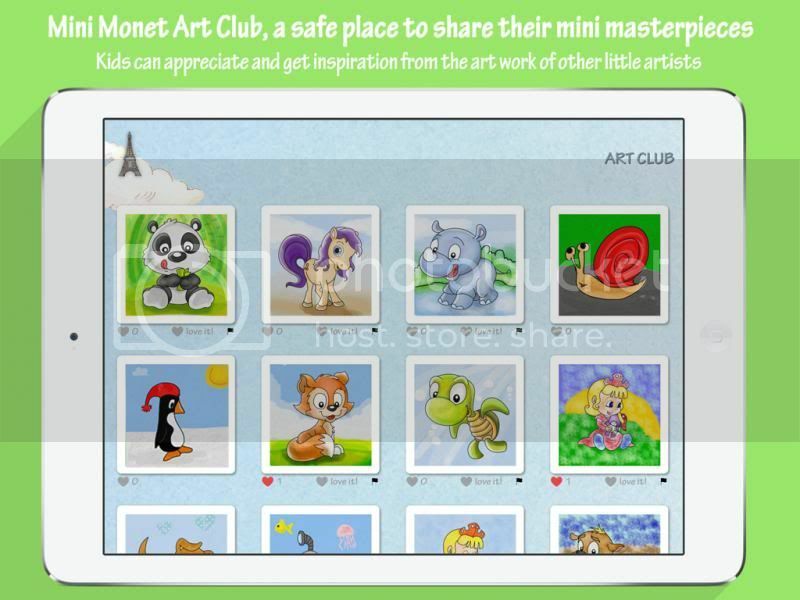 I redeemed a good app for kids at the iTunes app store about Mini Monet Creative Studio and Art Club for kids, something a parent would want for her son. I studied the apps and I was very surprised of what amusing it will be for my son. It would indeed encourage him to color more, paint on his own, as well as do some challenges with my acquiescence. The function is quite impressive; kids can earn coins after the work they finished which would give them the chance to exchange the coins with other items of course with parent’s consent again. I like how I can keep an eye on what my son is up to, and know what he likes the most. I can also change the settings so he won’t share just anything he wants to the social network and makes it more private for him. He can also connect the weekly drawing challenge. The app is only available for iPads. I have the LITE version of the app and have 20 free activities; the rest can be purchased in the Premium version of the App in the App Store. The front cover is quite motivating too; it’s as if you are in Paris where you can select where would you want to go. 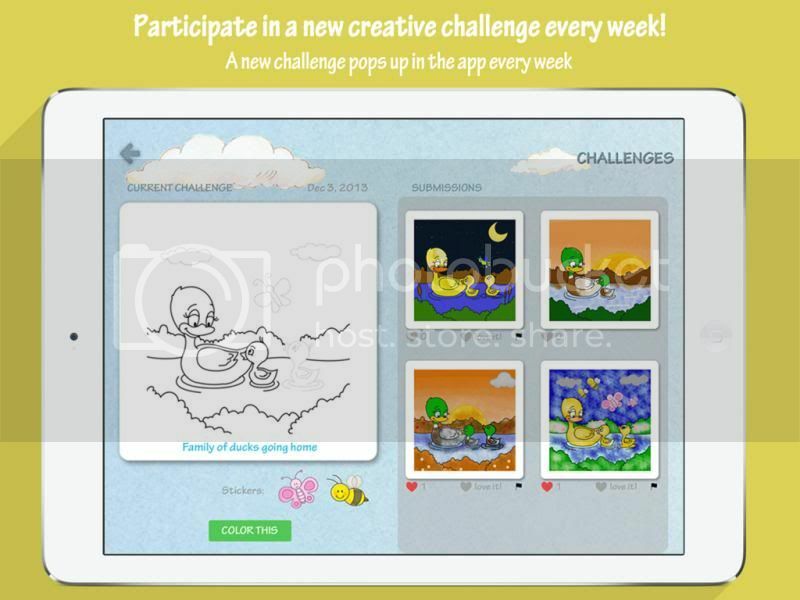 There are Art club, coloring pages you can choose. The app aforesaid has been just wonderful for kids mind, building their unbounded creativity and learn to love the arts, and that creativity is more fun. A few introductory for the App: Mini Monet was designed and developed for kids and has a unique Magic Pencil which prevents colors from spilling out of a hand drawn area when coloring, making it easier for the little kids to color and create. Make your kids start to love Arts with Mini Monet Creative Studio’s help as early as possible, it’s another great past time for them, especially during winter season when kids don’t go outside often due to freezing weather. The app is always available at the iTunes they released the LITE version today and you can now download it for FREE click it here: https://itunes.apple.com/us/app/mini-monet-creative-studio/id795789056?mt=8. You also visit the website @ http://www.spritekids.com to learn about more about the new apps in the store. Please also follow them on Facebook, Twitter, and Pinterest. A disclaimer: This is NOT a sponsored post. 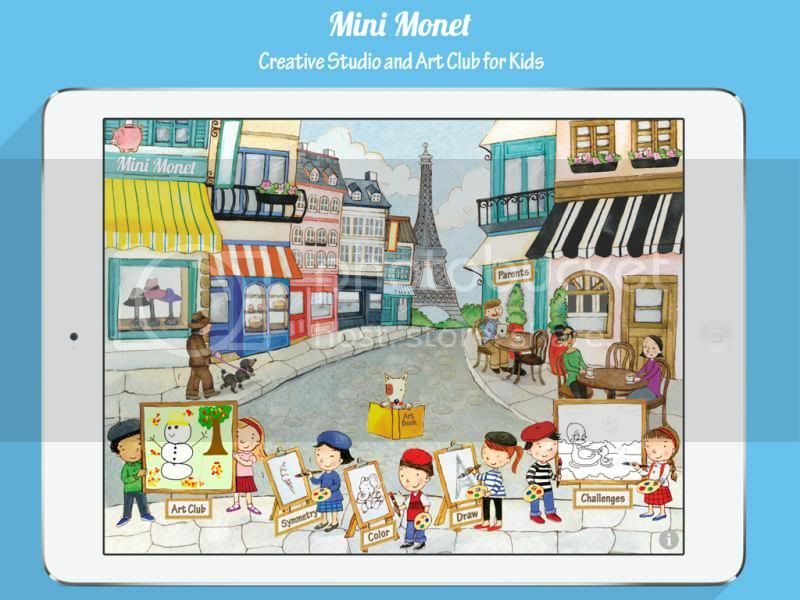 I received the Mini Monet Creative Studio and Art Club for Kids Lite App for free in exchange of my honesty review. The outlook I expressed is 100% exclusively mine. This is great! We learn so much through art! That is one fun app, indeed. I love how kids can get to create fun things. My little girl's two and my little man's in kindergarten and I think this is a fun app for them to do. THe coloring page is very creative, every tot would enjoy these. Sure your Chaos would love this! There's a helluva lot of apps that are very useful for kiddos these days. How lucky they can get! My daughter loves coloring and I bet she'll love this also. I have several coloring apps installed and she loves it to bit. Early Art exposure is for sure beneficial in developing your son's art skills. This app will be of help. Kid's are so lucky nowadays. They have lots of resources even in their finger tip they can learn easily. 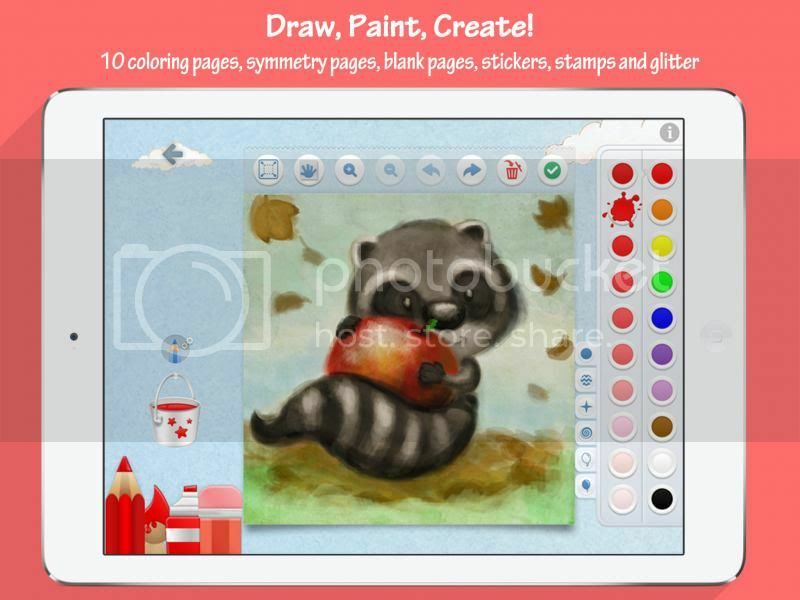 I'm sure many kids will enjoy using this app even those who are not inclined to arts. I love apps like these! At least the kids would have tons of fun while learning. Those are really cute for kids to do.